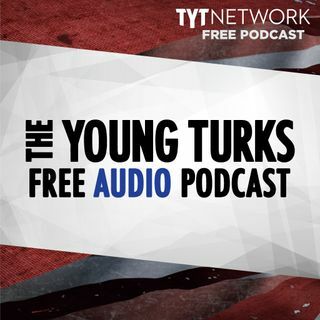 A portion of our Young Turks Main Show from February 5, 2018. For more go to http://www.tytnetwork.com/join. Hour 1: Cenk. Super Bowl recap and Cenk calls it the greatest game ever played. Breitbart had a unique take on the Super Bowl. Tweet and later delete pic of Super Bowl and have racist convo between Muslims. Cenk talks about his trip to New Orleans. Hour 2: Cenk & Ana. Marco Rubio is working with Ivanka Trump to craft a paid family leave plan that will be appealing to fellow ... See More Republicans. According to Rubio, a Republican-friendly paid family leave bill would neither raise taxes nor impose requirements on businesses to provide leave. Though Rubio and Trump’s paid family leave plan is still in its early stages, Rubio laid out the potential legislation outlines. Instead of mandating leave, Rubio’s plan would allow workers to draw from Social Security early and then later delay the benefit when they become eligible. Lawyers are counseling couples considering divorce to do it this year — before a 76-year-old deduction for alimony payments is wiped out in 2019 under the Tax Cuts and Jobs Act.